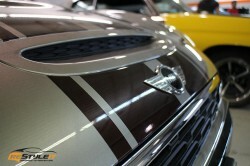 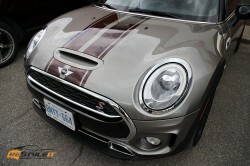 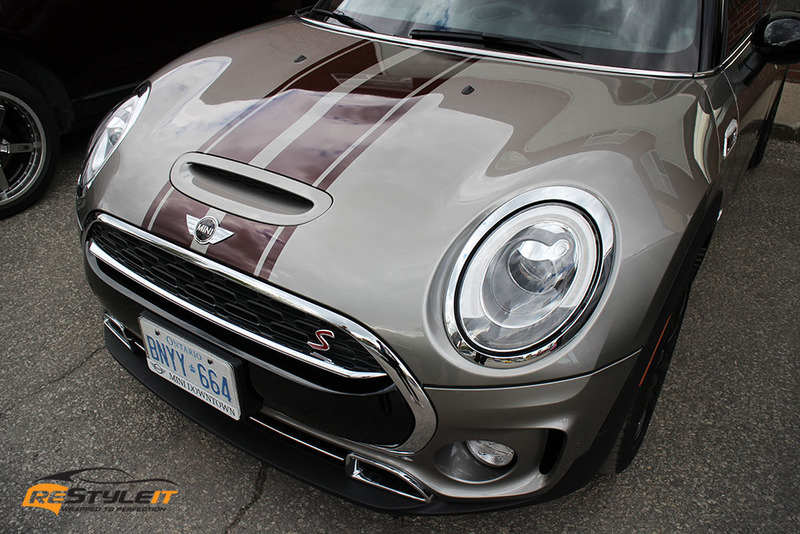 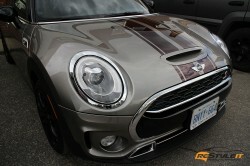 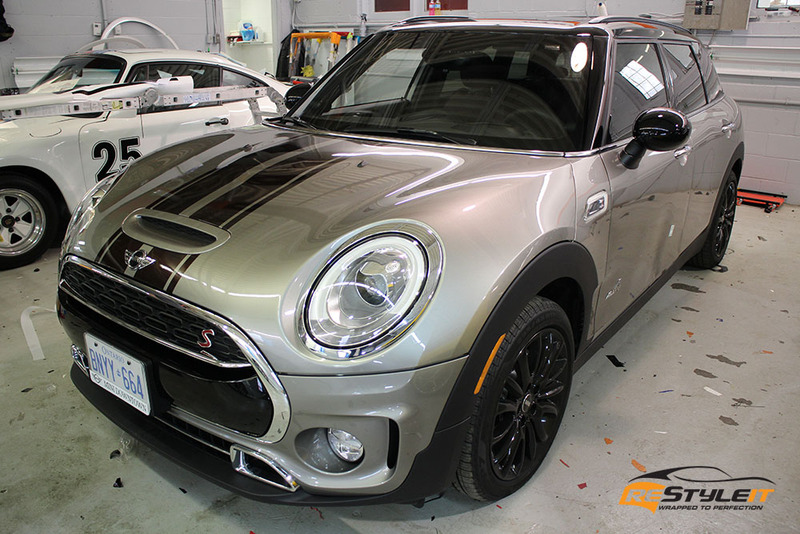 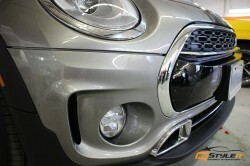 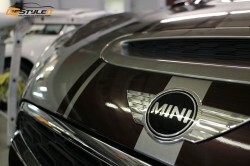 2017 Mini Cooper Clubman S came to Restyle It straight from the Mini Retail Centre in Toronto. This is a new family vehicle for our client and he couldn’t wait to take it out for it’s first road trip. But first things first! 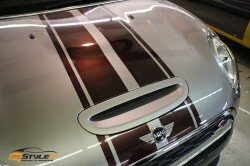 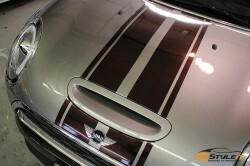 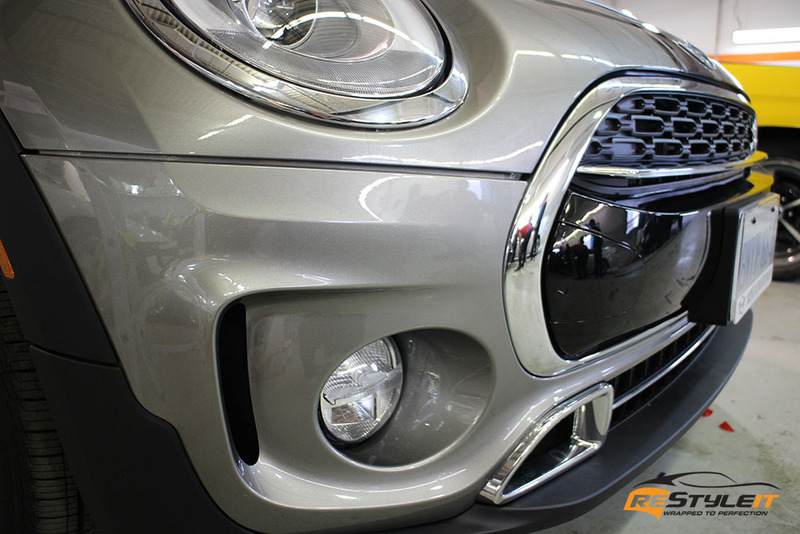 Vehicle’s full front end is now guarded with Paint Protection Film which truly is a wise way to protect your investment. 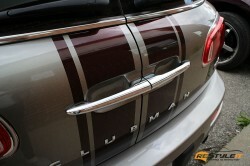 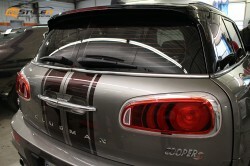 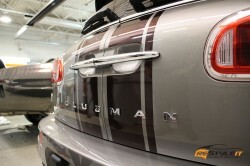 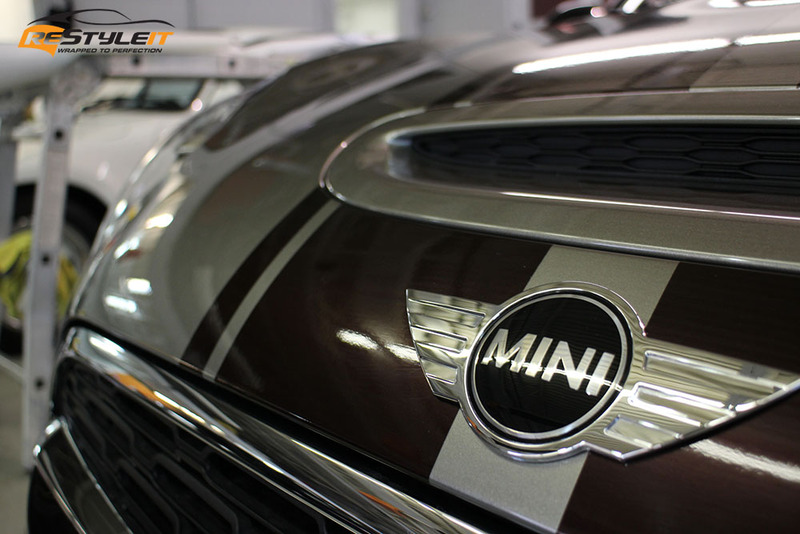 Before this Clubman was out of our doors we installed Gloss Black Rose racing stripes front to back with matching pin stripes. 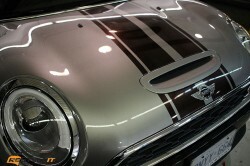 They turned out looking quite nice on a vehicle’s grey exterior.